Israeli President Reuven Rivlin has rejected an appeal for a pardon for a soldier jailed for 18 months for killing a wounded Palestinian attacker. Elor Azaria was found guilty in January of manslaughter over the March 2016 shooting of Abdul Fatah al-Sharif, 21, in Hebron, in the occupied West Bank. In January, Israel’s Prime Minister Benjamin Netanyahu called for Azaria, a sergeant, to be pardoned. Azaria submitted a formal request last month. The case has divided Israeli opinion. “President Reuven Rivlin today took the decision to deny the request for a pardon filed by Elor Azaria,” the president’s office said in a statement on Sunday. It added that Mr Rivlin had taken into account both the offences committed by Azaria and their circumstances. Azaria, 19 at the time of the incident, shot Abdul Fatah al-Sharif in the head while he was lying immobile on a road on 24 March 2016. Sharif and another 21-year-old Palestinian, Ramzi Aziz al-Qasrawi, had stabbed and wounded an Israeli soldier before troops opened fire on them, wounding Sharif and killing Qasrawi. 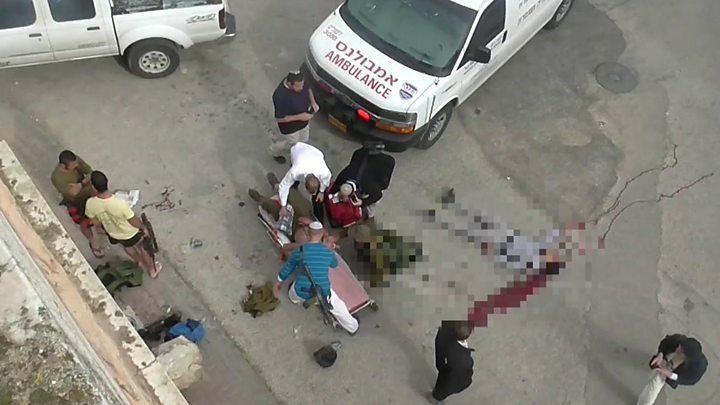 Footage of the scene several minutes later, filmed by a Palestinian and released by the Israeli human rights group B’Tselem, shows Sharif alive, wounded and unarmed. A soldier, identified as Azaria, is then seen cocking his rifle and fatally shooting Sharif in the head from several metres away. A military court convicted the soldier after dismissing his assertion that the Palestinian still posed a danger. There have been rallies in Israel in support of the soldier, but top military figures say his actions do not reflect the values of the Israel Defense Forces (IDF). After the hearing in January, Mr Netanyahu and Defence Minister Avigdor Lieberman said the soldier should be pardoned. In July, an appeal over Azaria’s sentence was rejected by an Israeli military court. Manslaughter in Israel carries a maximum 20-year term.